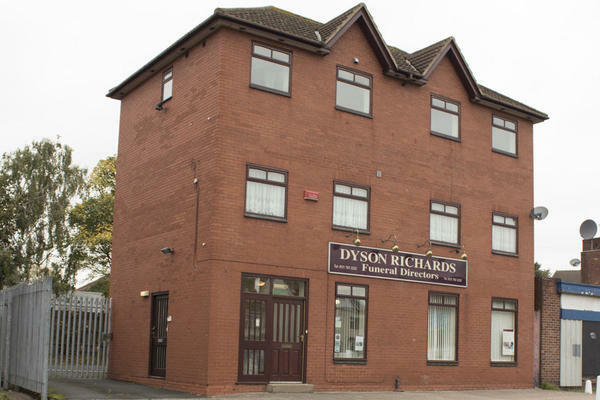 At Dyson Richards Funeral Directors we believe that a funeral should be unique and personal. That is why we serve our local community of Stechford, Birmingham, with the highest standards of bespoke funeral services. Whatever type of funeral you feel is most fitting for your loved one, we will be able to help make it happen. Our welcoming funeral home is designed to help you feel comfortable when you visit us. Whilst making arrangements we will work closely with you to ensure that every detail is just as you want it to be, culminating in the perfect farewell for your loved one. We understand that losing a loved one can be very difficult, which is why we want you to know that we are here to offer you our full support. You can contact us 24 hours a day by telephone, so we will be there when you need us most. Call us today on 0121 783 2232 to talk through your personal requirements. There is free parking available at the front of the funeral home. Our staff are available 24 hours a day on 0121 783 2232 if you require our services outside of these hours. Excellent service from start to finish, explained everything in detail and were so kind and considerate, nursing me through all the details and making the whole process feel calm and under control at a time when I could not focus. Thank you for your empathy and understanding.